Millionaires have the same number of minutes as every one else. Yes, I know. They also have personal assistants and teams of people who clean their houses and doggy piles. They didn’t always have all that help. They started out like most everyone else. They did do one thing differently though. They realized that they cannot manage time. 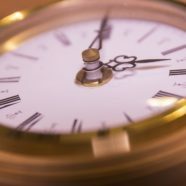 Instead of learning to manage time, they learned to manage themselves. They learned that when they manage themselves, time responds. They get more done in less time because they know how to maximize their focus. In this video learn 6 ways you can increase your focus, create more time in your life, and open up the opportunity for abundance to flow.